Many pundits feel the rest of the rest of the economy may not pick up the slack, from the anticipated decline in the mining sector. The high dollar makes their exports less competitive overseas. Even though new housing construction enjoyed a 2% jump during the December quarter, it has since flattened out and may well need a boost. With the level of Australian household savings at a record high, that has created a sizeable “war chest” for consumers. And after five years of doing nothing … most people have now become rather bored. They have been squirreling away funds for a rainy day, which (for Australia) simply hasn’t come. Unemployment has remained fairly steady. 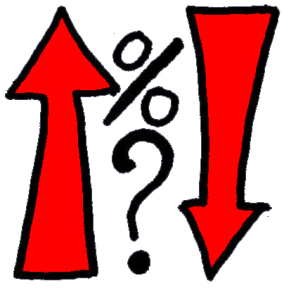 All of which would tend to indicate the only way for interest rates form here, is upward. The blip in the unemployment figure of 5.6% for March will probably provide you with a small window, in which to still obtain a competitive fixed interest rate for your mortgage. Because as we discussed last week, the unexpected strength of retail sales during February is seen as a lead indicator — signifying the return of consumer confidence. And that has also been reflected in the high clearance rates for in-city residential auctions around Australia — currently hovering between 65% and 70% each week, so far this year. By mid-2013, this will also be fully reflected within the Commercial sector — which is already starting to see a strong increase in demand. Bottom Line: You probably have about two months in which to secure a reasonable fixed rate for your investment loans. And I would strongly suggest you engage a good finance broker to help you source them.